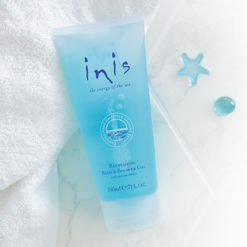 Introducing a new, blue, sulfate-free blend of Inis Shower Gel. Formulated with good-for-the-skin seaweed extracts, pure botanical cleansers and naturally moisturizing glycerin, this gel cleanses without drying the skin. 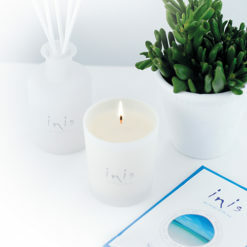 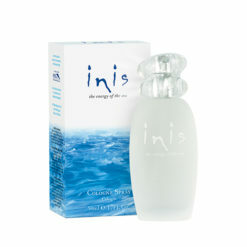 Pure and gentle, it refreshes and hydrates as you cleanse – leaving you with an ocean fresh feeling from head to toe. 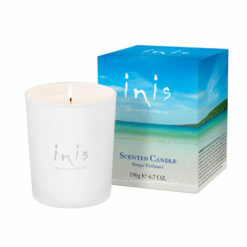 Simply add gel to running water in bath, or apply to a damp sponge in shower for an all-over refreshing lather.